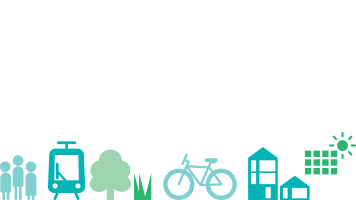 MEFL and Moreland City Council retrofitted ten social housing properties in Moreland to improve understanding of the actions required to mitigate impacts of the Urban Heat Island Effect (UHIE). The project was funded through DELWP’s Victorian Climate Change Grants 2015. Upgrade works included improvements to building fabric (insulation, draught proofing and external shading), natural cooling from trees and vegetation and mechanical upgrades (fans and reverse-cycle air-conditioners). Global warming is leading to longer, hotter and more frequent heatwaves across Victoria. These conditions are compounded in dense built up areas through the Urban Heat Island Effect (UHIE), which is recognised as a key issue for Moreland. This extreme heat can cause and exacerbate a range of serious health issues. 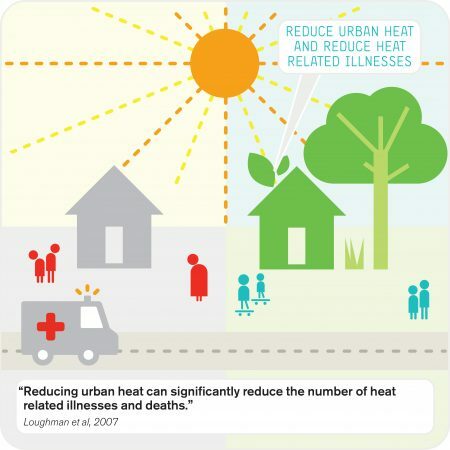 Social housing residents are particularly at risk from heat stress as they are more likely to live in poorly designed or maintained properties and have chronic health conditions. They also may spend more time in their properties than residents renting privately or owner occupiers. The study found that prior to the upgrades several of the social housing properties in the study posed real threats to residents’ health and wellbeing during extended hot spells. Whilst no heatwaves were experienced in Melbourne during the study period, in January 2017 heatwave conditions were recorded inside one of the properties. For several properties in a recently constructed apartment block, internal temperatures failed to drop below 27 degrees Celsius over a five-day period. Failure to provide adequate protection from heat was not limited to the apartments, with residents in single-storey homes also experiencing discomfort. These properties however had more retrofit options than the apartments.